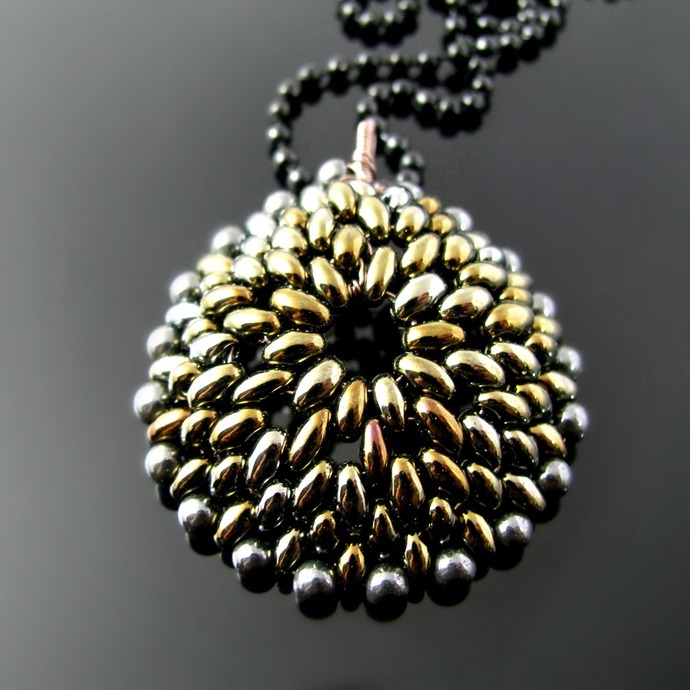 To make this domed pendant I used gunmetal colored copper wire and beautiful shiny Czech Twin Beads (meaning they have two holes). The stunning effect reminds me of a reptile. An even more beautiful effect is how the beads seem to change color depending on the light. 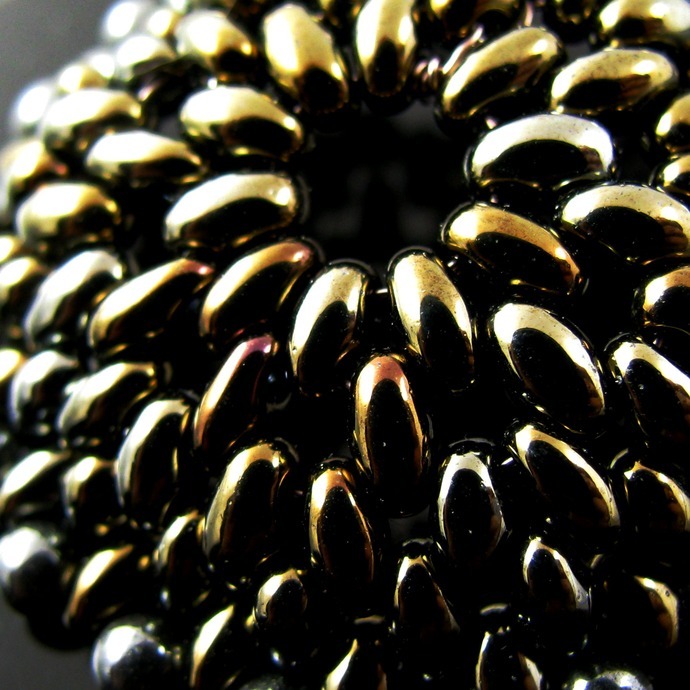 One moment you think all beads are the same color, then in the light you see there are actually different ones, in lovely gold and dark silver tones. 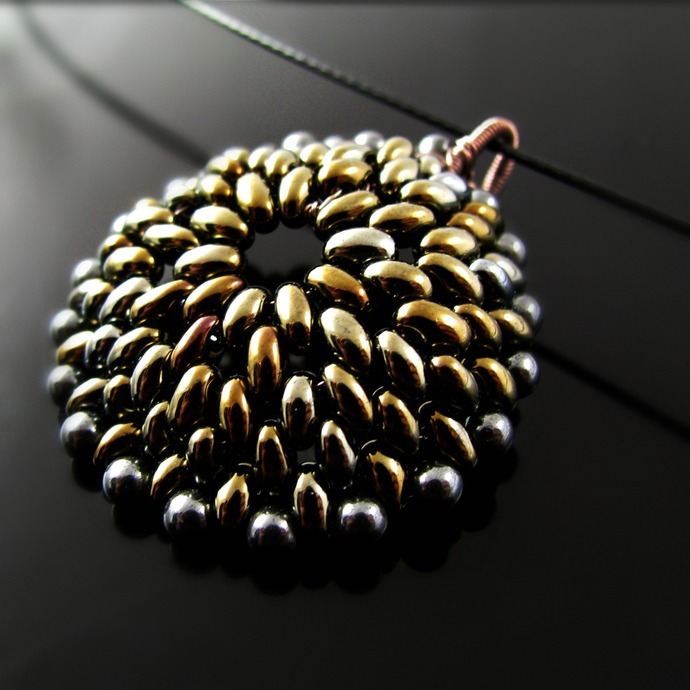 To achieve a smooth edge I added tiny hematine beads, hematine being a man made imitation of hematite. 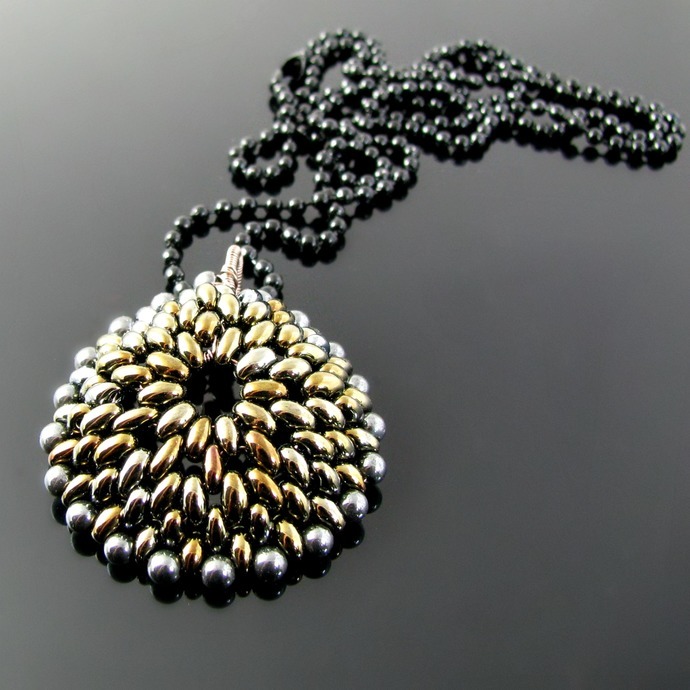 Including the handwrapped bail the pendant is 4.2 cm or 1 2/3 inch long. 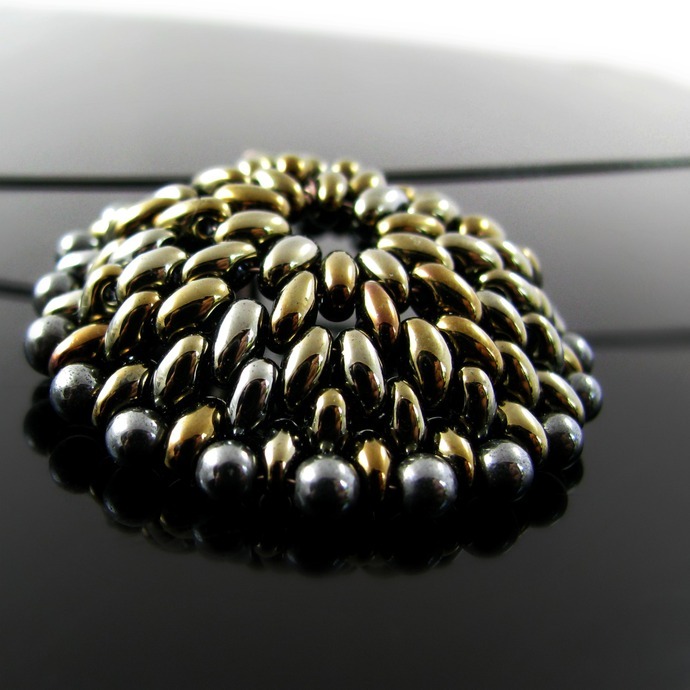 It comes on a 70 cm or 27 1/2 inch black ball chain which can be shortened.